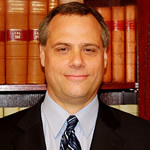 Tom Kimbrough is the Associate Director for Public Services at the Underwood Law Library at Southern Methodist University (SMU) in Dallas, Texas. He is also an Adjunct Professor of Law at the SMU Law School, teaching International & Foreign Legal Research. Prior to joining SMU, he was a Senior Associate in the Mergers & Acquisitions and Korea practice groups at Baker & McKenzie in Hong Kong from 2002-2004. He was an Associate in the Corporate Finance, China, and Korea practice groups at Skadden, Arps, Slate, Meagher & Flom (Beijing office) from 2000-2002. He was a Foreign Legal Consultant, specializing in finance and cross-border investment projects, at Kim & Chang in Seoul, Korea from 1994-1998. He received his law degree from the University of California at Berkeley (Boalt Hall) in 1988, his master’s degree in library and information science from the University of Washington in 2006, and his undergraduate degree from the School of Foreign Service at Georgetown University in 1985.